Ko Kut Ao Phrao Beach Resort is situated within a pristine nature environment offering spectacular views across the ocean. The resort’s own private pier is perfect for enjoying the beautiful sunsets. Accommodation includes a choice of hut, villa or house styles set in beautiful gardens, designed to enhance your enjoyment within the natural beauty of Koh Kood island. The restaurant serves delicious breakfast and evening meals assisted by our welcoming staff. 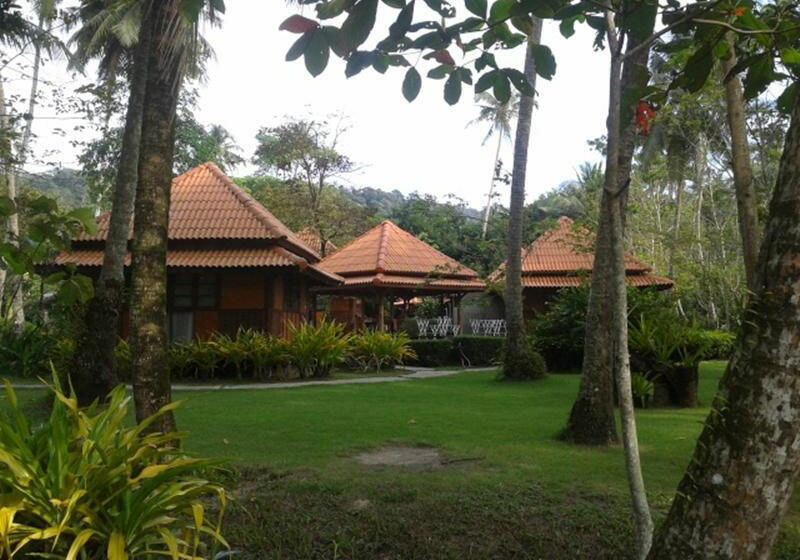 Short Description: Ko Kut Ao Phrao Beach Resort is situated within a pristine nature environment offering spectacular views across the ocean. The resort’s own private pier is perfect for enjoying the beautiful sunsets.